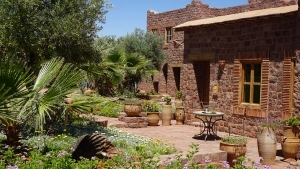 The nine Adrar Superior Rooms are spacious (30-31m²) and face south with views across the gardens to the summits of the High Atlas Mountains. 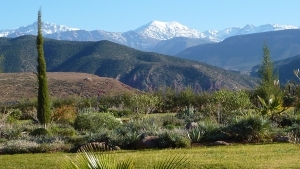 The word “adrar” is Berber for “mountain”. 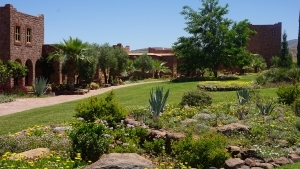 All Adrar rooms have large terraces (23-26m²) to enjoy the sunshine and gardens. 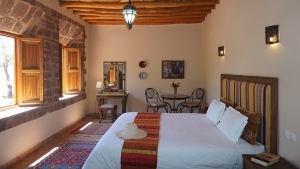 Most of the bathrooms have a bath and shower combined but two of the Adrar bathrooms have large walk-in showers. 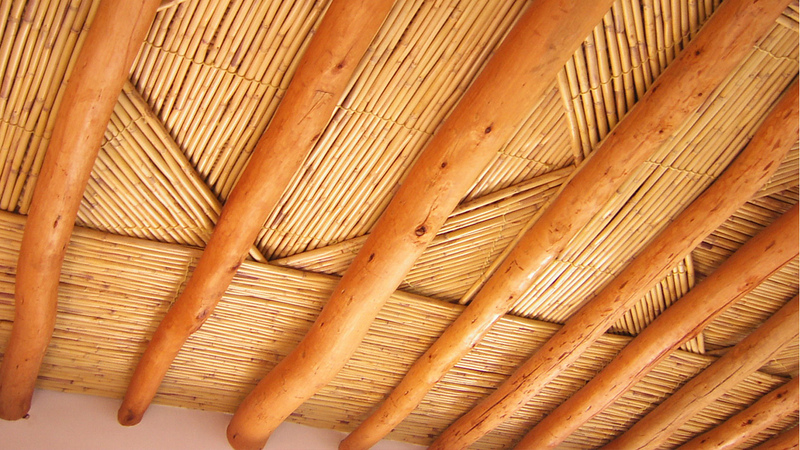 Our beds can be made up as two singles or one king size double. 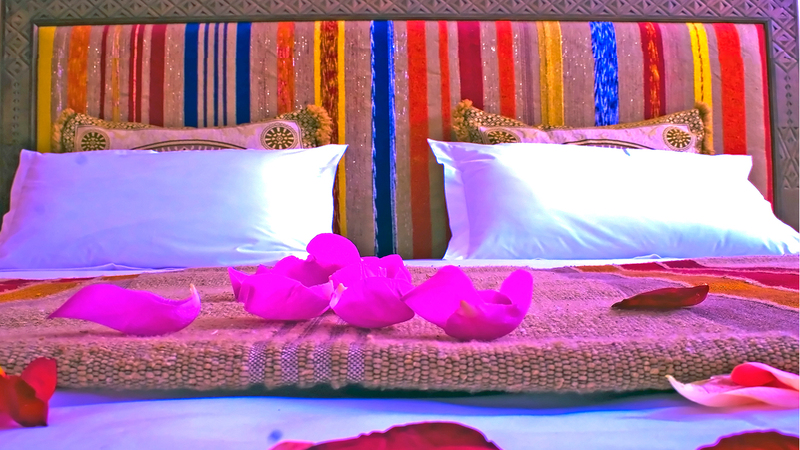 Adrar Superior Rooms can take one extra bed (supplement may apply). Prices vary according to the time of year. See Room Rates. You can check availability and reserve by selecting BOOK NOW. If you have any questions please email contact@kasbahangour.com.